Interviewing for your CNA job interview can be a nervous experience, especially for those that have not been around the medical field before. However, it’s an interview and all interviews have the same basic rules. This article will help prepare you for your interview from preparation, grooming, what to expect and also interview questions. You should be prepared and remember the time and date of the interview. This seems like a silly thing to mention, but you would be surprised at the people that are so busy with kids, husband, work and school, that they may confuse one date with the other. Make sure you drive to the interview place a couple of days before the interview to time yourself and/or to make sure you know the exact location. Remember the name of the person interviewing. This could be quite embarrassing to forget the name of someone in the Human Resource department. Bring copies of your CNA certification, your current resume, references and a copy of the job listing if possible. You should be dressed as business casual and not your nursing scrubs. If you’re a female, you should wear leather shoes, or dress shoes, a nice skirt or dress pants and a appropriate shirt. Men should wear slacks, nice button up shirt, and leather shoes or some nice dress shoes. Hair should be cut and neatly groomed. If you have piercings or tattoos, unfortunately, they are frowned upon in the medical field. Make sure to cover them up before the interview. Wear small earrings and minimize the jewelry. Something small works well so the attention isn’t taken away from you and placed on your jewelry or poor grooming. What to expect can differ, depending if you’re going to work in a hospital, nursing home, or doctor’s office. You will most likely meet more than just one person during your interview. This will probably be the human resource manager or director. You will also meet the nursing director, also called the director of nursing (DON). You may take a tour. Be prepared to see how friendly the staff is and see if the facility is clean. You don’t want to work in a place with unpleasant nurses or CNA’s or a filthy facility. You may see some of the patients or residents during your tour. See if they’re happy too. This makes a difference when accepting a job. If they are happy, then most likely, you will be too. As you probably know, there are so many type of interview styles and differences, but the following items will help you with your interview. Do you have any previous nursing or health care experience? Why do you want to be a Certified Nursing Assistant? If you see a co-worker doing something wrong, will you report it and how will you go about reporting them? Can we contact your current or past employers? This is illegal in most states. What do you hope to be doing in the future? What is the worst part of being a CNA? Hopefully, the interviewer will ask you if you have any questions. You want to find out how many residents you will be caring for at one time. Ask if there is advancement opportunities and if they offer to help pay for courses. How long will you be on probation and training. Finally, find out how well the medical insurance is and the retirement program they may have like 401k or other types. If you have any questions about your interview, ask us here! We WILL reply! 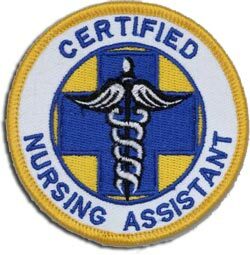 Passing the CNA state exam seems to be a lot harder than previous years. That is where we come in to help you. 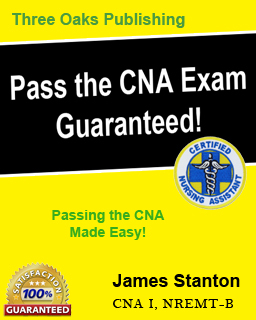 Passing the CNA written test is not as hard as some may believe, and if you’re in a state enrolled program, it will be a very simple test to pass. 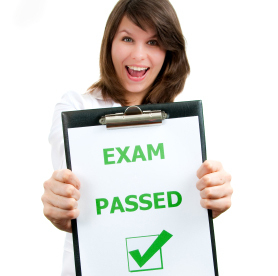 However, the most difficult part of passing the CNA exam is the skills portion of the test. This is where you and a classmate will be brought into the nursing lab and tested on 35 possible skills. Out of those 35 skills, you will be given only 5. Sounds easy, right? It’s not that easy. You must learn all 35 skills, and the steps within them. There are BOLD steps and they must be performed or it’s an automatic failure. Miss too many of the other steps and you will fail that way as well. What we are here for is to demonstrate the different skills you will have to perform. We will have videos uploaded for you to watch instead of searching all over YouTube to find the right ones. We will do the hard work for you. All you have to do is watch and learn the skills. We will also provide sample questions of what may be on the state exam. They are not the exact answers since that is illegal. 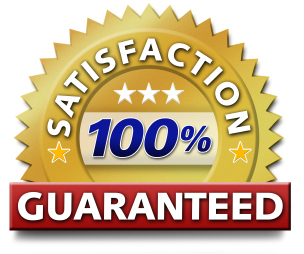 However, we will give you CNA sample questions to provide quality preparation for your state CNA exam. Stay tuned, bookmark our website, and get ready to explore the world of a Certified Nursing Assistant! On the day of my CNA exam, I got a great night’s rest, had everything I needed packed up the night before to endure my long trip, about 2 hours, to be at the testing site on time. When I arrived at the testing site, I felt prepared and ready to take the exam. After filling out the paperwork, I was called up to show my ID. I had my drivers license and social security card along with a military ID. However, I was told I could not take my test because my social security card was laminated. My card was laminated 17 years ago and has never caused a problem ever. Since this happened to me, I wanted to make a list of things you will need and a list of things that will not allow you to test. 1. Valid drivers license with your current name. If you recently got married, make sure this has been updated on your license. 2. Non-laminated social security card with the same name as the drivers license and the name you signed up to take the test. 3. You should have received a post card from the testing site that has these same rules on them. 4. Two (2) number 2 pencils, sharpened and a good eraser. 5. Wear loose fitting clothes and slip on, non-skid shoes. This allows your partner to not struggle while performing their skills on you. 6. Your skills study book. There will be some time to quickly study your skills prior to taking your skills. If you follow these guidelines, you will get through the pretesting smoothly and without problems from the nursing aid examiner. Best of luck when taking your certified nursing exam! Let us know how you did! It isn’t rocket science- keeping a job. But it seems, more and more, that some people really are clueless when it comes to certain actions that will, guaranteed, send a CNA out the door via being fired. These CNA’s act all shocked and awed. REALLY?? 1) Be a NO CALL, NO SHOW. Don’t go to work on any given day you’re scheduled. Perhaps you have a doctor appointment, or you need to catch up on some much needed sleep. Or your kid is sick. Whatever: This action on your part will end your employment at every facility. The most important skill for the CNA exam has to be hand washing. This is not only important for CNA’s, but for anyone. Washing your hands is the number one way to control infection in the workplace and keep microorganisms from spreading. This also protects you. Everyone that takes the CNA skills test will have to perform this skill. The examiner will not allow ANY mistakes during this skill. This will also be the first skill you will take out of the five. Make sure your watch is loose, so that you can slide it up your arm easily. This will allow you to wash your wrist area. Do not wear rings or any others types of jewelry. A watch is mandatory for your other vital sign skills. Turn on the water so that it is lukewarm or tepid. Make sure it is not too hot! Use dime-sized amount of soap. You must lather for at least 30 seconds. You can sing your A,B,C’s twice, or sing happy birthday twice to ensure the amount of time is correct. While washing, make sure your hands remain in the downward position, making sure not to touch any portion of the sink. Wash in between the fingers, wrists, and scrub your palms with your fingernails. Dry your hands with paper towels. To turn off the water, grab a paper towel to touch the faucet handles. DO NOT touch the handles with your hands after washing. You will FAIL. Stay calm and you can pass this portion of the exam! Best of luck and if you have any questions, please feel free to ask them below. What schools offer the CNA program? Many people ask this question and it seems quite simple sometimes, but depending on your location, this could be a difficult task. 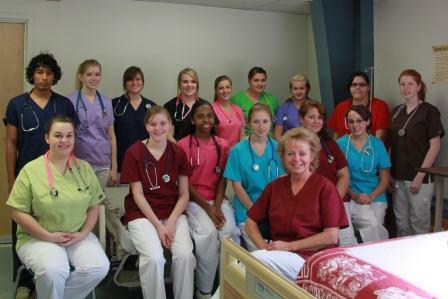 Many school offer the CNA program in a continuing education curriculum and not college credit curriculum. EMT-Basic and EMT-Paramedic courses are also a continuing education class. Almost all of your local community colleges offer continuing education programs (or con-ed for short). To enroll, you will need to have a GED or high school diploma, take the entrance exam, and pay out of pocket or file for financial aide. Financial aide is quite easy to get. Your local community college will have a financial aide office that will help guide you through the steps. The PELL Grant is the largest and most common type of financial aide. This grant will even pay for your pencils, pens, paper, books, tuition, and even daycare for your child if you’re a parent! The Pell Grant can be applied for by visiting this website. The con ed courses for the Certified Nursing Assistant program are somewhat lengthy. When I took the CNA program, I was enrolled in a “hybrid” course. This means that portions of the course are online, and portions of the course are in the classroom setting, lab, and in the hospital while performing CNA skills in a hospital setting with real patients. 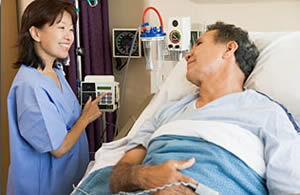 By the year 2016, there is a projected need for CNA’s in the United States that reach up to 393,000. Being one of the most demanded jobs in the healthcare field, it seems we do not get the salary for the demand. Since there are many CNA job openings in the U.S., it can also allow us to move pretty much anywhere we would like, just as a nurse. Where would you like to work? Below, we have list of the 10 best paying states to work as a Certified Nursing Assistant and the respective salary. We have also listed by state, the worst states to work as a CNA, and the states with the most and fewest CNA jobs. What is it like to be a Certified Nursing Assistant? There are many people across the globe, who is a bit perplexed about their career. They simply do not know which way to go. In fact, they even change their aims in life at different stages. However, there are certain professions for which many people are determined from a long time. One such profession is of Certified Nursing Assistant. This is basically a profession in which you will have to look after the patients in a hospital. So, if you are also willing to become a nurse, you should go on with this article as it will assist you knowing the proper steps.